Small metal sign measuring 200 x 150mm "Flying is the 2nd greatest thrill known to man. 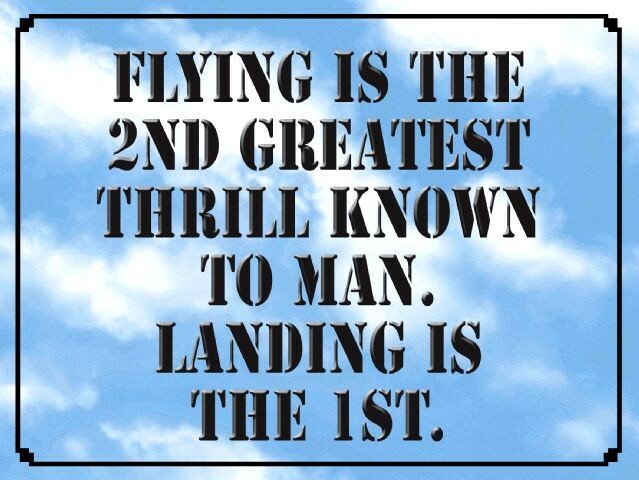 Landing is the 1st." A great way to brighten up either your home, hanger or local flying club.